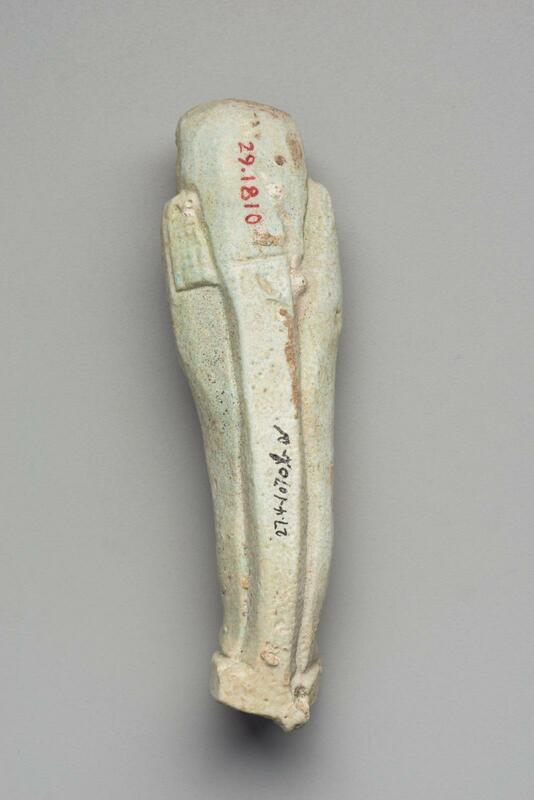 This mummiform shawabty is in the classic Late Period form which is characterized by tripartite wig, long beard, back pillar and base. The figure holds the pick on the right shoulder and hoe and cord to a small seed bag on the left. The arms are crossed opposite right over left. The shawabty is uninscribed. The figure is warped. From Giza, Debris of pit G 7450 X II. 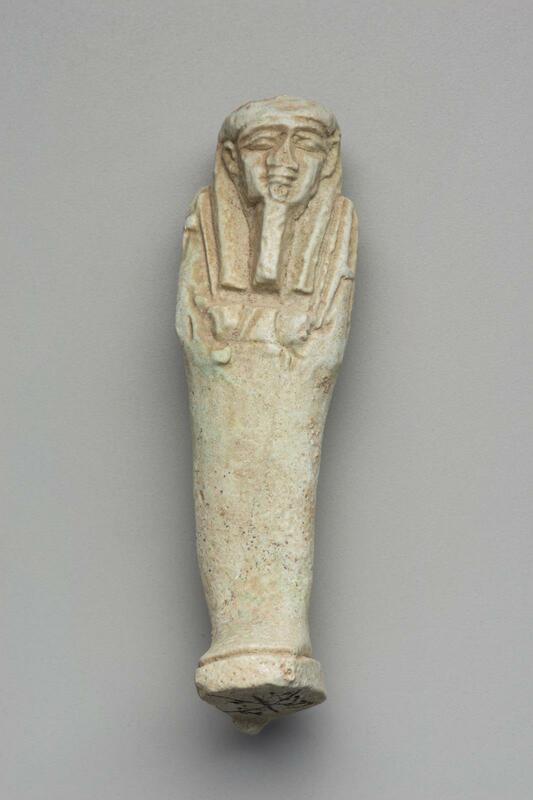 1927: excavated by the Harvard University–Boston Museum of Fine Arts Expedition; assigned to the MFA in the division of finds by the government of Egypt.